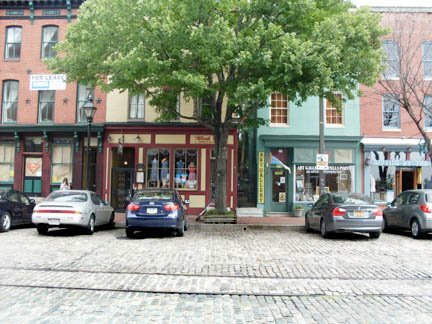 Cobblestones may not be the smoothest ride for cars or bikes, but cities and neighborhoods brag about their cobblestones - a link to their history and a part of their charm and attractiveness. This is Thames Street in Baltimore's Fells Point. The historic waterfront neighborhood has protected its authentic character, and today is alive with restaurants, cafes, and shops serving a diverse mix of people. 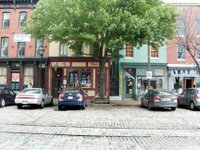 For more on Fells Point, click HERE.